The prices for internet ADSL services are scheduled to increase by 4 percent starting from September, a source inside the communications ministry told state news agency MENA on Sunday. This increase comes as part of a scheduled gradual rise in value-added tax from 10 to 14 percent, which was introduced in September 2016, the source added. The VAT was introduced with the aim of reducing tax evasion, as it is applied to each part of the production chain for goods and services, instead of its predecessor, a sales tax which was imposed as a one-off on the final sale to customers. In related news, Communication Minister Yasser El-Qadi told MENA on Sunday that TE Data, the internet arm of majority state-owned landline operator Telecom Egypt, will start offering internet packages at a minimum of 4 Mbps by the end of this year. TE Data currently offers packages at 1 and 2 Mbps. El-Qadi said that 47 percent of TE Data subscribers are subscribed to the 4 Mbps bundles while 53 percent are subscribed to the 16 Mbps bundles. 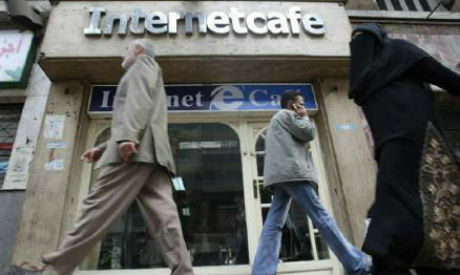 There have been previous calls for lower internet prices in Egypt, with various campaigns launched by young people to improve the speed and lower the cost of using the internet in Egypt. Out of Egypt’s 93 million population, an estimated 4.2 million use ADSL services while 27.4 million access the internet via their mobile phones, according to June 2016 figures by the state statistics authority CAPMAS, released in 2017.